Since the release of HCX we've had issues with the skyblock plugin. That's why we've decided to purchase a premium plugin! This plugin has more (exciting) features like island upgrading, time and weather change per island, player banning (for your island) and more! We also added TreeAssist, PlayerVaults, Challenges, a sellshop on spawn and some stuff with farming. Donator island is a thing again as well and Blazes, Wither skeletons and Guardians are also able to spawn on your island (in the correct place of course)! If you haven't seen it, here's the announcement for the upgrade. I'd also like to thank @PierreTheBoss , @steeltjerepel and @Firepownage for all the testing they've done and fighting through some really nasty bugs. Please help us out by reporting bugs and leaving suggestions on discord or on the forums. p.s. As a kind-of compensation for deleting your old islands, everyone gets a starting kit and 10x the amount of money when first starting. 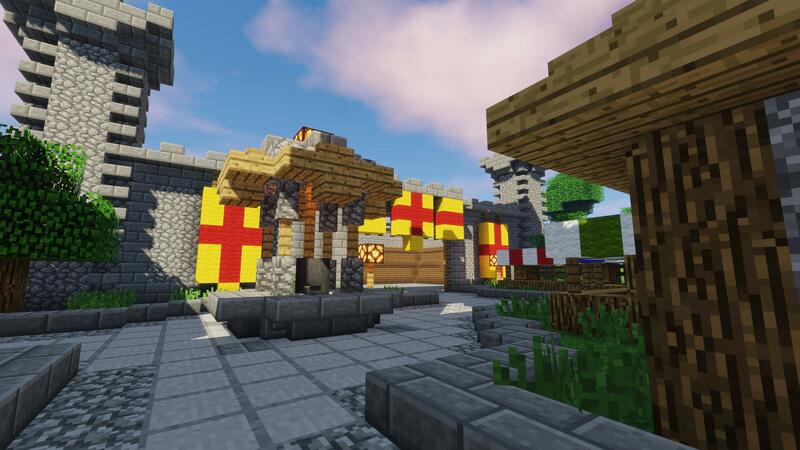 Since the release of HCX we started working on a KitPvP gamemode. We wanted it to be a fun, light minigame like the one we had back in 2015/2016. This is why we decided to bring back and revamp the old map we used at the time and put in a few easter eggs. We enabled the day/night cycle as well, because we thought the map looked really cool at night! We chose to make 6 kits, of which 2 are for ranked players. Older players will remember some of the kits as well! Also, we made it in the known and loved 1.8 combat system. This means that there is no hit-cooldown like in 1.9+ PvP! You can just join, choose a kit by clicking on 1 of the signs and have a nice PvP experience whenever you feel like it! PS. If you search well enough you will find a feature of an Easteregg from our older gamemode, VintagePvP. On behalf of the whole staffteam we would like to wish you all a Merry Christmas! 40% on ranks, 60% on everything else. It will be available until 27 december. 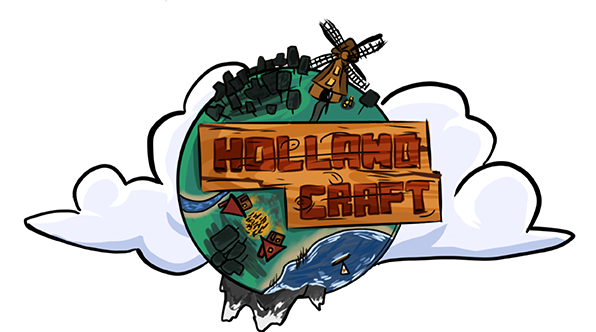 HCX is a major overhaul of the entire Hollandcraft network, both in game and behind the scenes. HCX will roll out in multiple phases. Today sees the launch of Phase One. Phase One includes a new lobby, and four revamped game modes, survival, skyblock, creative and skywars. HCX also takes the server to 1.13 We have support for 1.8.x-1.13.x, however we recommend 1.13.2 for the best results. What’s new in Phase One? The lobby has had a major refit, delving more into the medieval, rural theme that Hollandcraft was once known for. Instead of server portals, we now use NPC’s to select a server. Also, the new lobby is chock full of Easter Eggs so be sure to have a look around! For skywars, we turned the nostalgia up to 11! We took an old, beloved lobby, tweaked it so it still looks fresh and added some brand new maps and kits. Good for hours of play time. There is a Minecraft legend lurking in the depths... What light source surrounds him? As many of you well know, our long-time Admin Bobobaal has recently resigned. He has asked me and Michel to publish this farewell to you. After long thought, I've decided to resign as a staff member on Hollandcraft. It wasn't an easy decision to make since I spent my teenage years as a player on this server, and most of it as a member of the Staff Team. The reason that I'm resigning is because I lost my interests in Minecraft, I do still think it's a fun game but I don't play it as often as I used to and I truly believe if you want to be a good admin on a server of any type of game you still need to have an interest in that game. Also because these days I spent more time watching series or playing other games. I would like to thank you (the players and the Staff Team) for the time I spent with you. Most importantly, I want to thank Michel of taking me with him on this wonderful journey of maintaining a Minecraft server. Bobobaal will continue to be affiliated with our server as a regular player and is still in our Discord community. All I can say for now is #dicksoutfordieter. News EggWars has been released! This is the moment you've all been waiting for! The release of Eggwars! Why did we pick Eggwars? We've been noticing that the minecraft community is more interested in minigames rather than the old fashioned server like creative and survival. That's why we decided to add Eggwars. Eggwars is a minigame that still is popular in the minecraft community. We have different maps that will have certain themes, most of them are built by staff members. You can choose between solo mode and teams! Eggwars is a pvp based minigame where each team/player will have to collect resources from generators. Buy blocks or weapons to defend your egg or destroy the other teams/players their egg in order to reign supreme! What do we have for our donators who support the server? Every donator rank will have access to trails and effect you can show of in game when you are playing against other players! We also added a preview photo down below. martijnpu & the Staff team. We created VintagePvP some months ago because our previous KitPvP was such a bummer. VintagePvP was fun to a lot of old players who liked the nostalgic feelings, but the kits weren't very nice to play with. Also, as a staffteam we liked the KitPvP map way more than the VintagePvP one. To solve the fact that KitPvP was an entirely dead gamemode, we changed it to 1.8 pvp with 1.8 support and made the kits suited for 1.8 pvp. We hope this will bring KitPvP and Hollandcraft in it's entirety somewhat back up in player counts. If you experience any bugs or have any suggestions, please tell us so we can take it in consideration. The same thing will happen to Survival, but that will happen on Sunday 24/09/17 around the same time mentioned for Creative. Note: During the update of Survival the auction plugin has been replaced with the same from Skyblock and Prison. This so there won't be many different auction plugins and avoid confusion to you players. UPDATE: Because of a problem after updating the warps plugin. Warps will not work on both Survival and Creative. Warps are half working, new warps will work fine, old warps won't this cannot be fixed. Sorry for any inconveniences during those days. Skyblock is a really old server, it's currently running at 1.10 and hasn't received many updates across its lifespan (a fault at my side because I was too busy with school). Only some additions and they also haven't had an update. Now we have reached a point we don't really want to update every plugin, also we think it would be nice to have a fresh restart in Skyblock. Chestshop plugin replaced with the plugin we use on Survival. Auction House has been replaced with an alternative version (but still same mechanics) as the one we use in Prison. Scoreboard has been removed as most of the players found it annoying. 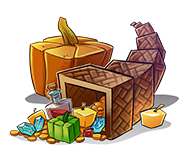 Silkspawners and the availability of buying spawners has been removed. /shop on its entirety has been removed. Trade plugin has been replaced. Tags have been removed (The ones you could earn and enable with /tags). PvP arena has been removed (Can be brought back if majority of the players wants it). The chance values of getting ores from a cobblestone generator have been changed. This update is scheduled for Saturday 16 September. Please do know that this can be changed if something important comes up on that day. We still have something coming up very soon, but @MichelDeStar is busy, so that will probably take some time until it will become available.